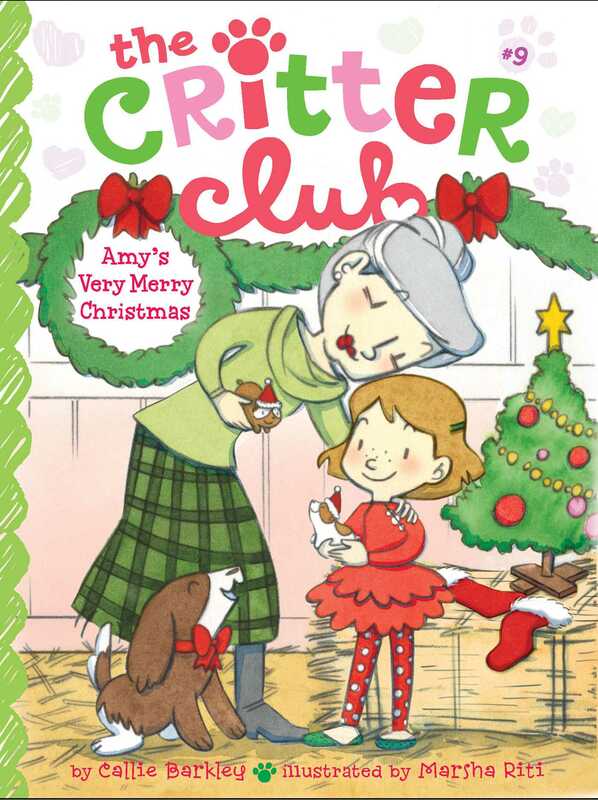 Amy comes up with the perfect Christmas present for Ms. Sullivan in the ninth book of the Critter Club series. It’s holiday time in Santa Vista, and Amy is especially excited for Christmas. Her dad and soon-to-be stepmom and stepsister are visiting, plus, there are some adorable guinea pigs at the Critter Club. But amidst the hustle and bustle of Christmas preparations, Amy notices that Ms. Sullivan seems a little lonely. Though Ms. Sullivan assures Amy that she will have a lovely holiday with her dog Rufus, Amy begins to wonder if there’s something she can do to cheer up Ms. Sullivan. As Christmas Eve nears, the Critter Club girls still have not found families to adopt the guinea pigs. But then, in a Christmas miracle, each guinea pig gets a home. And come Christmas Day, Amy has devised a great plan to give Ms. Sullivan some cheer—and some company—on Christmas!